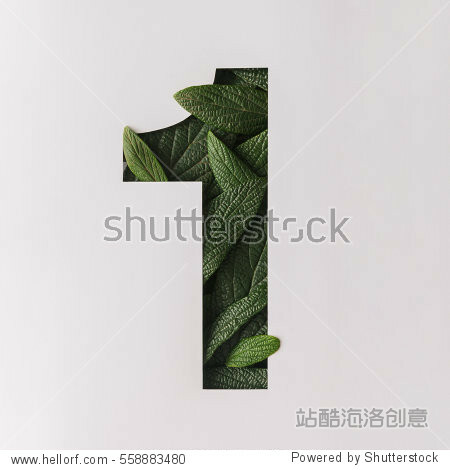 Number one shape cutout with green leaves. Nature concept. Flat lay.